Originally from Charlotte, NC, Jeff Foster graduated from Wingate University with a Bachelor of Science in Business. 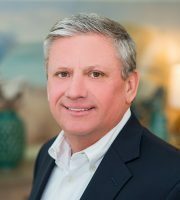 Jeff enjoyed a varied career in the corporate sector for for over 27 years before his foray into real estate. His corporate experience has given him a solid foundation of leadership coupled with a respect for teamwork – two qualities necessary for a successful real estate agent. Jeff is a previous Top 40 Under 40 recipient and is involved in many philanthropic organizations like Easter Seals, Sertoma, and The Lions Club. Jeff loves living in Charleston. Helping others find their own Charleston home is what makes real estate so rewarding for Jeff.